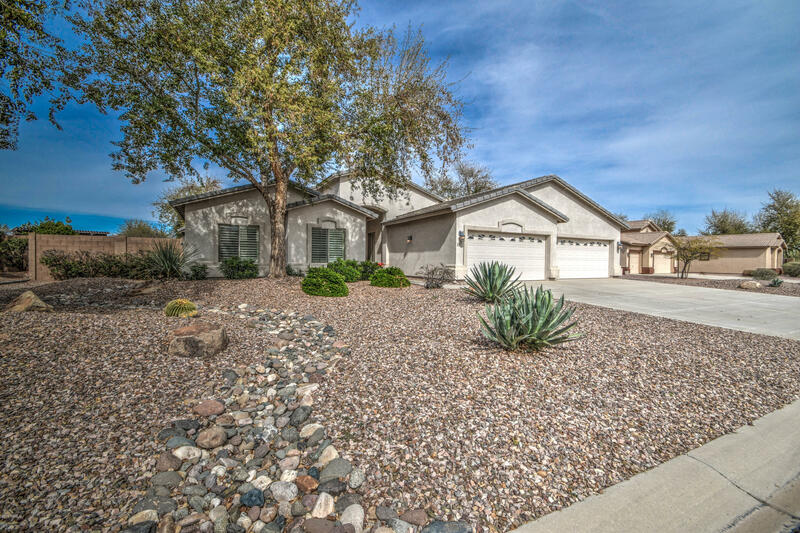 All RANCHO GABRIELA PHASE 4B homes currently listed for sale in Surprise as of 04/23/2019 are shown below. You can change the search criteria at any time by pressing the 'Change Search' button below. 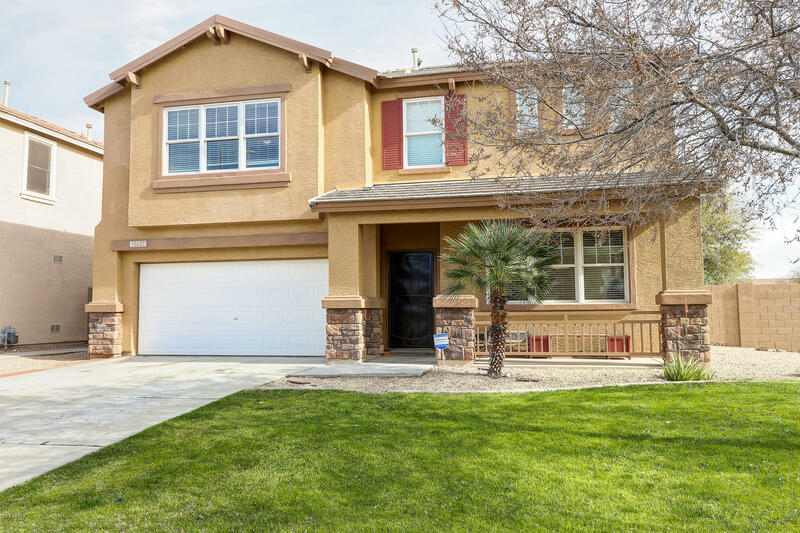 "Highly sought after and scarce single-level split floor plan with 4 bedrooms + den, 2.5 baths and DREAM 4 CAR GARAGE in desirable gated community of Rancho Gabriela. This home has all the right touches including 2''x6'' construction! An entertainer's dream - the kitchen features rich 42'' Cherry cabinets, double ovens and kitchen island open to the Family Room-posh wood shutters, soaring ceilings - gorgeous hardwood floors, 12''x12'' tile and upgraded carpet in all the right places. 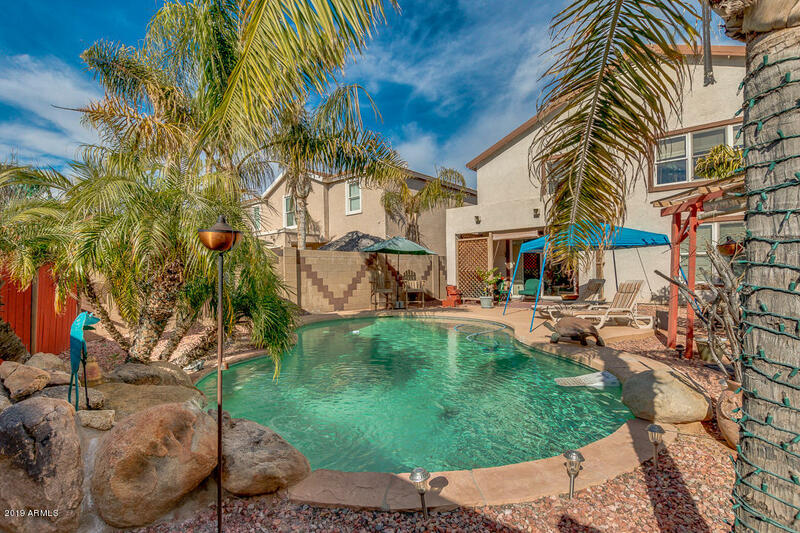 4-CAR GA"
"Gorgeous 5 bedroom 3 bath Colonial in Surprise! Entering the home you'll love all the natural light and open feel. This home has all the updates including granite counter-tops in the kitchen, open vaulted ceilings and a large master suite. Outside you'll find a large fenced in backyard for privacy and entertaining. This beautiful home won't last long make your appointment today!" "Beautiful Home! 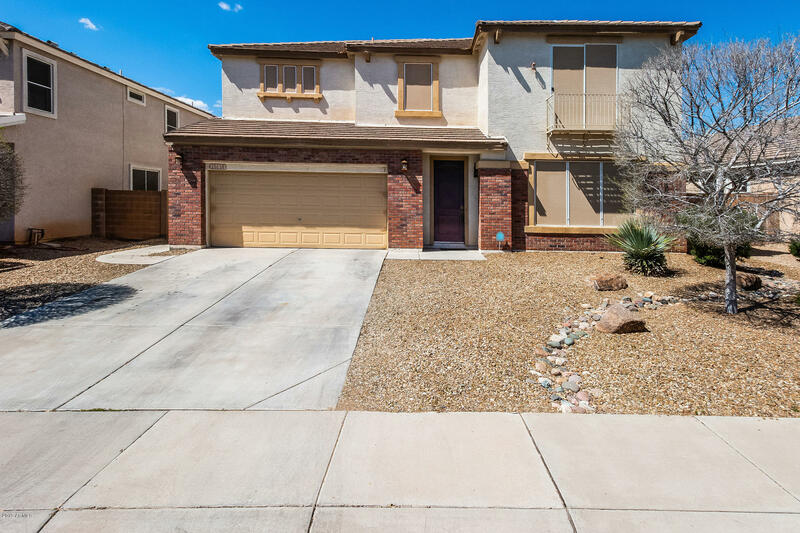 Located in Surprise, this lavish 4 bed, 2.5 bath property boasts desert landscaping, 2 car garage, dining and living areas, this home also features 9 panel doors,+ built shelves in garage, a cozy loft, a den perfect for an office or extra bedroom, designer paint throughout, and more! The elegant kitchen is comprised of ample cabinetry with tile countertops, a pantry, black appliances, and a charming island with a breakfast bar. Inside the grandiose master bedroom you will find a "
"Move in ready 4 bedroom, 2.5 bathroom home with OWNED SOLAR! Home features a formal dining room, living room/great room, family room, huge loft. large kitchen with tons of cabinet space, an island with breakfast bar and is open to the family room. A dramatic, open loft greets you upstairs. The large master suite features a master bath with dual sinks, separate garden tub & walk-in shower, and a huge walk in closet. Large backyard with covered patio is ready for your final touches. Newer dishwash"